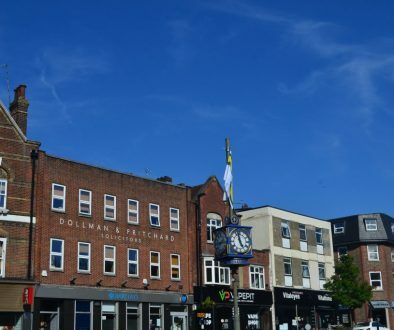 Caterham Valley is promising a colourful and tasty start to the Easter holidays with two major initiatives to delight shoppers and visitors to town. 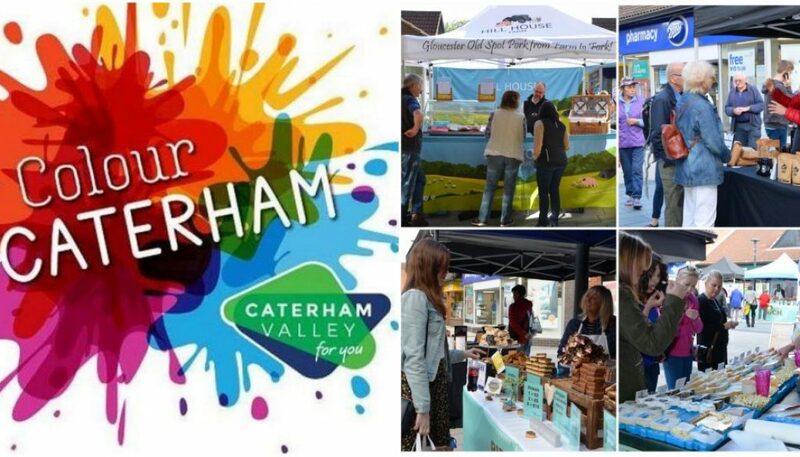 On Saturday April 6, the first of Caterham Valley For You’s monthly pop up food and drink markets will set up home in Church Walk Shopping Centre, selling delicious artisan products made by suppliers based in Surrey, Sussex and Kent. 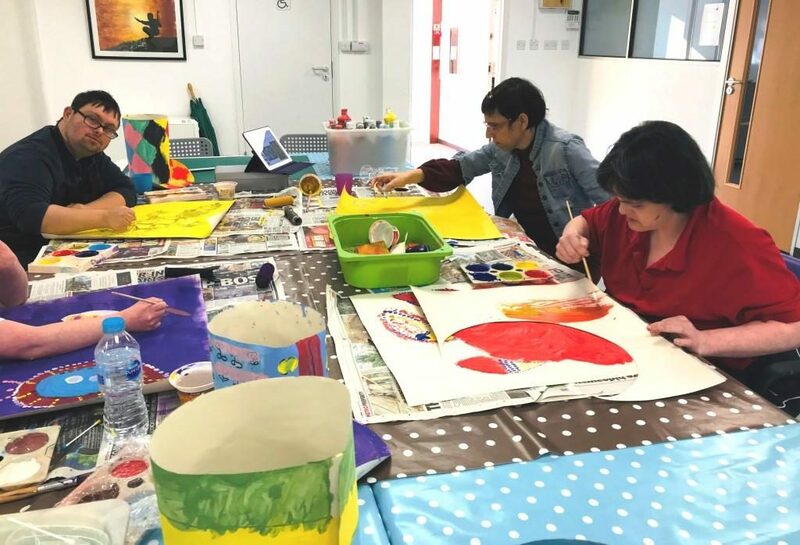 Shoppers will be able to try before they buy and chat with the makers, as well as enjoy the magical spectacle of the town bedecked in colourful artwork as, for the second year running, Colour Caterham will have transformed the streets into a giant work of art. Colour Caterham will continue until April 30. 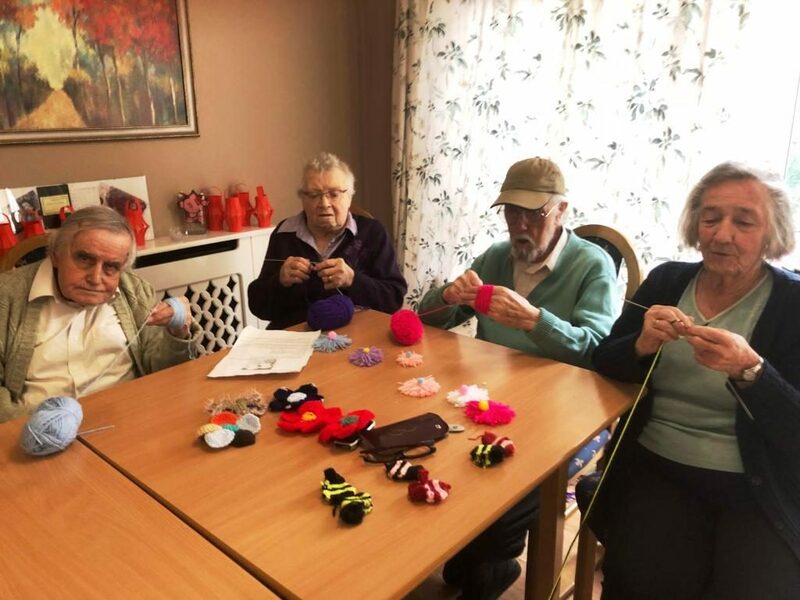 Community groups and local artists are currently beavering away on handmade creations for Colour Caterham ready to decorate Caterham Valley’s lampposts and railings to create a rainbow of colour. 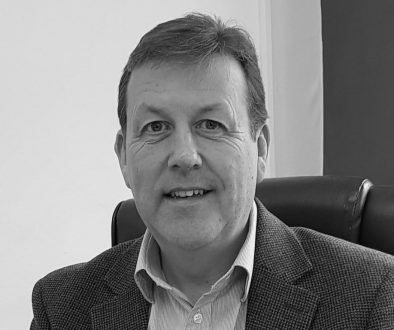 “Colour Caterham and the town’s first official monthly food market will provide an assault on the senses for visitors and shoppers at the start of the Easter holidays,”says Caterham Valley For You chairman, Andrew Browne. 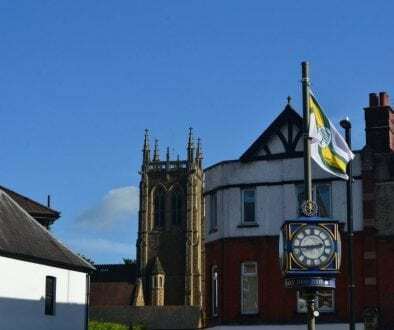 “It is wonderful that so many community groups, businesses and individuals have been involved in making the decorations for Colour Caterham and their efforts, along with the delicious offerings of the food and drink market, will provide an uplifting atmosphere in the town for all to enjoy. Among the Colour Caterham artists are children from The Crafty Cat Art Club, who are creating a 3D sculpture to hang from a strategic point in the town; regulars of Dayspace Centre for adults with learning disabilities are busily designing colourful letters; residents of Cherry Lodge residential care home with their knitted flowers to brighten up lampposts; and Caterham WI members craftily recycling plastic bags into flowers. 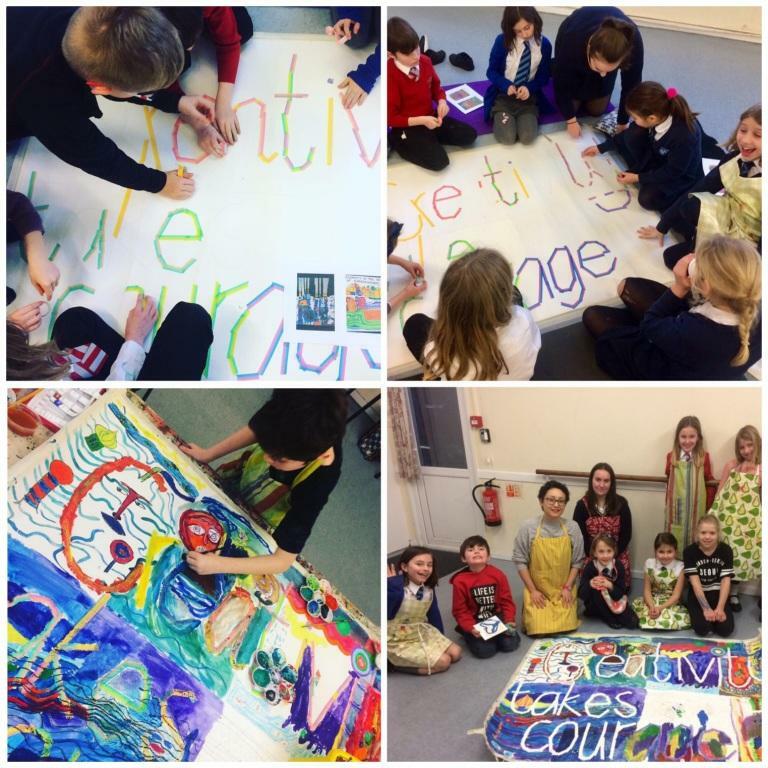 Other groups involved include Audley Primary School’s Sewing and Woolcraft Club; Hillcroft Primary School’s Arts & Crafts Club; St John’s Church; Caterham Messy Church; and Authentic Indian Arts. Once again, a children’s colouring competition has been organised to coincide with Colour Caterham. Entries will be displayed in shop windows during the Easter holidays (April 6 to April 30). The winners in both Key Stage One and Key Stage Two categories will have their artwork professionally framed by Caterham Galleries and put on display before being presented to the winning artists. Following a successful trial in the autumn, the pop up food and drink market will now be a feature of the town from April 6 and then every first Saturday of the month right up until December. The first market opens from 9.30am until 3.30pm with a specially selected group of eight local producers showcasing cheeses, coffee, fudge, bread, pastries, cakes, wine and beer. Each month will see a changing line-up of stallholders, from familiar favourites to new faces. Colour Caterham and the food and drink markets have been organised by Caterham Valley for You, which brings together the town’s businesses, from independent boutiques and specialist retailers to household names and national corporations, to help make Caterham a better place to shop, work and visit. Find out who is featuring at Caterham Valley Pop Up Food & Drink Markets each week.